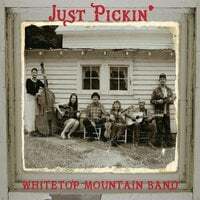 The Whitetop Mountain Band appears on some out of print fiddlers conventions records and the 1977 National Folk Festival LP other compilations, including some available from Appalshop. These include a couple Seedtime at the Cumberland CDs and Echoes from the Mountainside. 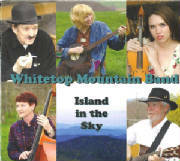 You can purchase these at Appalshop.org under their recordings section. Emily and Thornton Spencer appear on Kyle Creed's Liberty LP, which is available in cassette form from Bobby Patterson at Heritage Records in Galax, VA. They also appear on Rugby Guitar with Wayne Henderson, which can be purchased at CountySales.com or from Wayne Henderson. Albert Hash and Thornton Spencer appeared on Old Originals Vol.2 from Rounder Records which is also out of print.